This red-eyed tree frog is just hanging around. 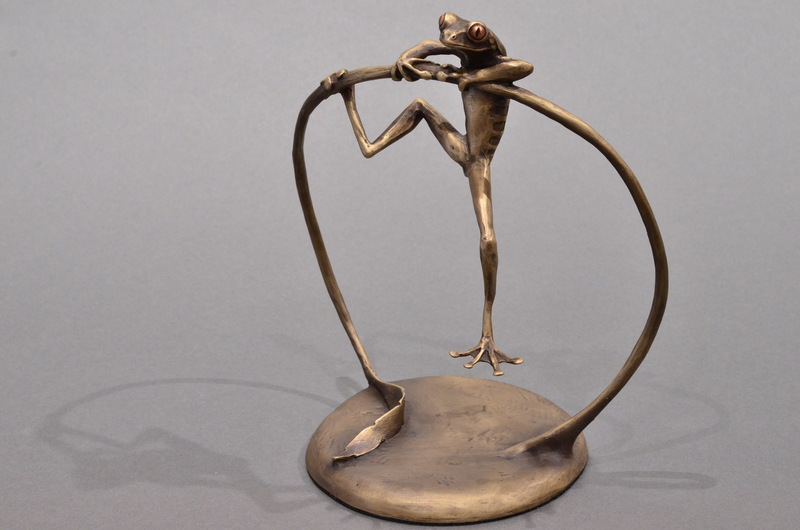 I’ve been wanting to sculpt this little frog for a while. The speed sculpt at the Southeastern Wildlife Exposition gave me a chance to do it. All art and photographs © copyright Artists of the Black Hills or the individual artists. All Rights Reserved.